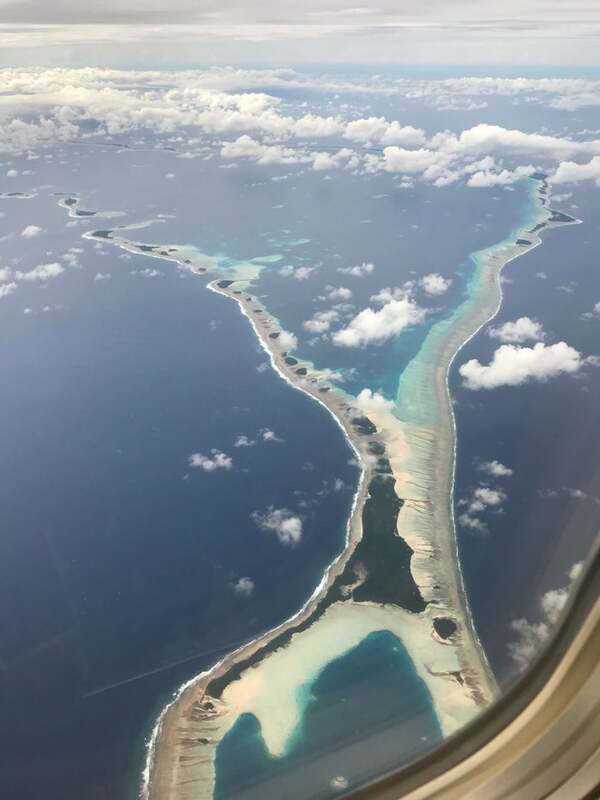 Amata Kabua International Airport is domestic airport located in Majuro Atoll , Marshall Islands and serves domestic and rare international flights to 11 different destinations, connecting Majuro Atoll with Marshall Islands, Micronesia, Guam, Kiribati, Nauru, United States and Fiji. The most popular destinations to fly to from Airport are Kwajalein International Airport, Honolulu International Airport, Pohnpei International Airport, Kosrae Airport and Bonriki International Airport . The longest flight you can take is to Honolulu International Airport (5:10 hours) . Carriers such as United Airlines, Air Marshall Islands and Our Airline have regular flights to and from Airport.